Not all accidents need emergency dental care, but those that do depend on you finding a 24 hour dentist in time to repair your tooth. Fortunately, our emergency dentist understands that toothaches or abscesses can’t always wait. Continue reading to learn what your dentist considers urgent and non-urgent emergencies. If you have an emergency that isn’t listed here, call your regular dentist or our office for further instructions. Our compassionate staff can help you determine your next steps so you can protect your smile and oral health. Jaw, gum, or tooth pain is your body’s way of letting you know you need emergency dental care. If your regular dentist is out of the office for the evening, weekend, or vacation, you can count on us for emergency dental care. Many local dentists trust us to treat their patients outside their office hours for emergency root canals, tooth extractions, and other emergency dental services. The sooner you seek emergency dental care, the more likely we’ll be able to repair your smile and relieve pain. If you are having a non-urgent dental emergency, you’ll be able to schedule your appointment during normal office hours. This means that if your filling falls out Saturday afternoon, you’ll be able to wait until Monday morning to have a new filling placed. Quick thinking is often what saves a tooth from needing extraction. If you are experiencing dental pain, request an appointment with our emergency dentist to be seen as early as today. The sooner you seek emergency dental care, the sooner you can alleviate pain and prevent permanent damage to teeth and gums. A fast response can also help you avoid expensive tooth restorations to repair your smile. In addition to emergency dental services, we can help you protect your teeth from illness or injury. For example, a custom mouth guard will protect your teeth and gums while playing contact sports. The last thing you want is to have your season cut short by a dental emergency. A mouth guard made by our dentist is different from what you can get at the store because it is custom-fit to the contours of your teeth and gums. Our mouth guards are more comfortable to wear, allowing you to breathe and drink with ease so you can focus on the game. Still have questions about our emergency dental services? Our Holland emergency dentist is dedicated to helping patients restore their smiles after illness or injury. 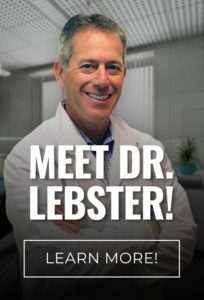 To request an appointment with Dr. Lebster DDS as early as today, call RediDental Emergency Dental Care at (616) 796-3200.